In Mark Twain’s autobiography, he claimed to be the first author to submit a typewritten book manuscript for publication. 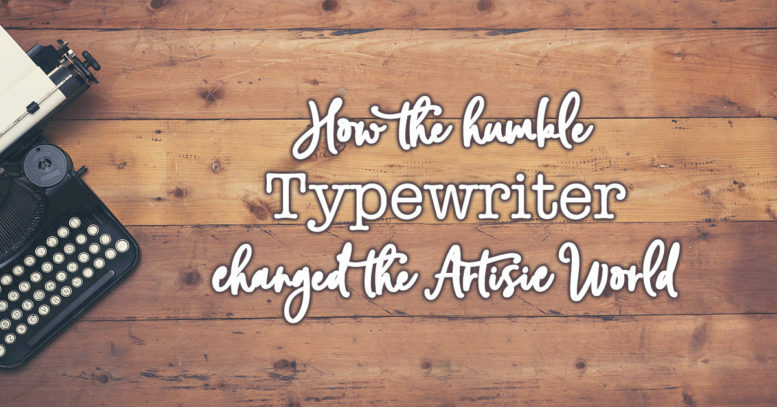 He used a Remington typewriter to type out his manuscripts and, in his autobiography, he states ‘The Adventures of Tom Sawyer’ as being the first typewritten manuscript. The year – 1876. It has since been proven that the first typewritten manuscript given for publication was in fact, his book ‘Life on the Mississippi’ in 1883. But nevertheless, the first Remington typewriters did forever change the face of the artistic world. Although various machines were invented by British inventors prior to this date, their sizing made them impractical for anything other than large factories – they were generally the size of a large piano. Their overall size wasn’t the only issue though, they also weren’t practical either! The speed at which they worked made them slower than actually writing by hand, so they were of no use to authors, playwrights and other creative endeavours. It wasn’t until 1867 that this began to change. American inventor Christopher Latham Sholes read an article about the British inventions and set about creating the first practical typewriter. It wasn’t until his second model (patented on 23rd June 1868), that he succeeded in creating one that could write faster than you could write by hand. After many improvements, Sholes was finally in a position to bring them to market. He signed a contract with American gunsmiths company ‘E Remington & Sons’ in 1873 and by 1874, the typewriter was marketed to the world. 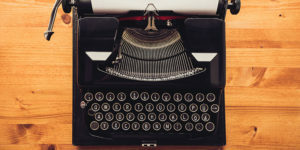 Soon renamed the Remington, this model 1 typewriter contained many standard components of the modern typewriter. However, this first model could only write capital letters – as it shift-key mechanism. This was rectified in 1878, by placing both upper and lowercase letters on the same bar and introducing a cylinder-shifting mechanism to the Model 2 Remington. The first electrically operated typewriter with the printing wheel was invented by Thomas A Edison in 1872. It used an electric motor drive to power the typing stroke. This made it quieter than its predecessors and also more forgiving on the typist. However, Edison’s electrically operated typewriter didn’t form the basis of the modern electric typewriter. Instead, it developed into the ticker-tape printer! It wasn’t until 1920 that James Smathers pioneered the electric typewriter as an office-based machine. And it was 1961 before typewriters were seen as a commercial success. As for seeing authors and playwrights taking their work out and about with them, this didn’t happen until the 1900s. The year, 1909 – and the first portable typewriter was finally introduced, and the freedom to be artistic anywhere became a reality!